Dante, along with his littermates, recently turned two. 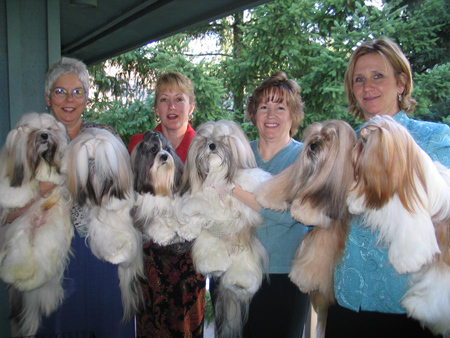 Pictured with two of his siblings in a group photo taken in October 2007, Dante is fourth from the left, held by owner Vickie. On the far left, held by Debby are sister Sadie and brother Fernando. Ginny, second from the right, is holding Moon. Julie is holding C’est La Vie and Avery. I saw the Photos of Dante. He is very cute! Can I share this link to my friends in Japan? Sure, you can share. I would like to share the link to your blog here. Is that okay? I am reading a book called Falling Leaves, The Memoir of an Unwanted Chinese Daughter, by Adeline Yen Mah. Throughout the book she sprinkles her native language. For example… – a calligraphy figure – another calligraphy figure, yi qin yi he (one lute one crane). I am curious about the Japanese language and the computer keyboard. Do you have a different keyboard when writing in Japanese? Can you tell me a little about your language? We just came back from Great Sand Dunes. We use same keyboad. Just we have japanese lunguage instooled in our MAC. Just select Japanese lunguage and tyiping by Romaji. These three different Japanese mean all KOYUKI. Please see the link showing below. You wiil know more about Japanese. So, I will let my Japanese friend knows about “What’s new” of your site. This is very interesting for them too even they don know English. Dante’s page is beautiful!! I feel like a bad mom, I don’t have any “cute” pictures of my guys. Genetics plays a huge part in Apso coats … either they have it or they don’t, as well as the type of texture (or lack thereof). 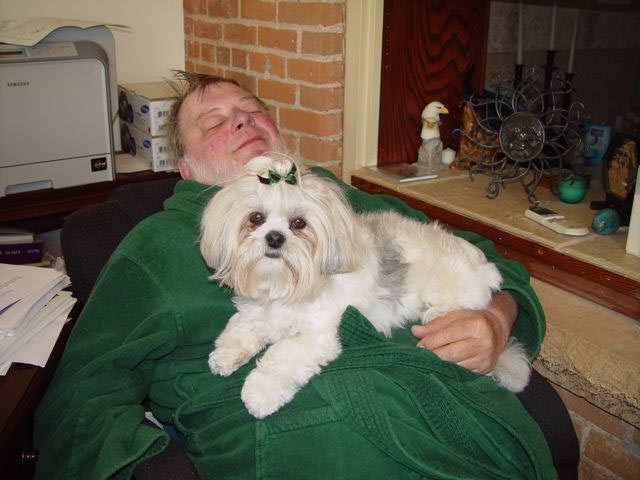 You can’t take a cottony coat and make it “better” with supplements … it is what it is! Dante’s coat was still “wooly” in that photo and he’s since been stripped of undercoat. One can actually “see” the body under the coat now!